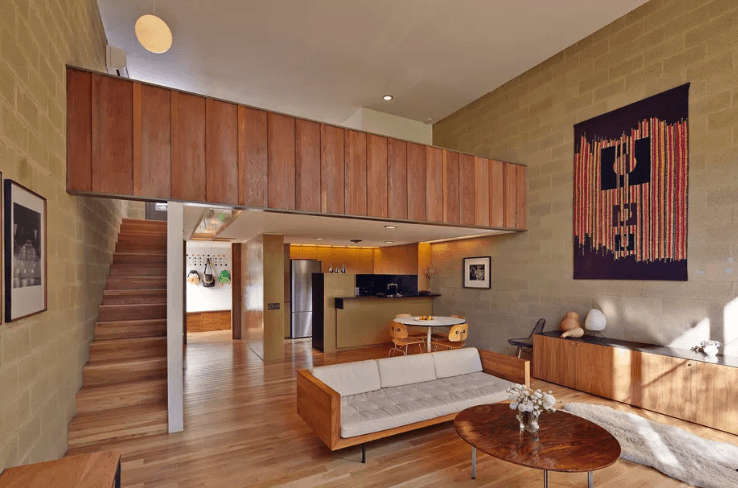 Pioneering midcentury-modern architect Harwell Hamilton Harris designed only a few Austin residences in his short tenure as dean of the UT architecture school (1952-1955, according to the USModernist website). 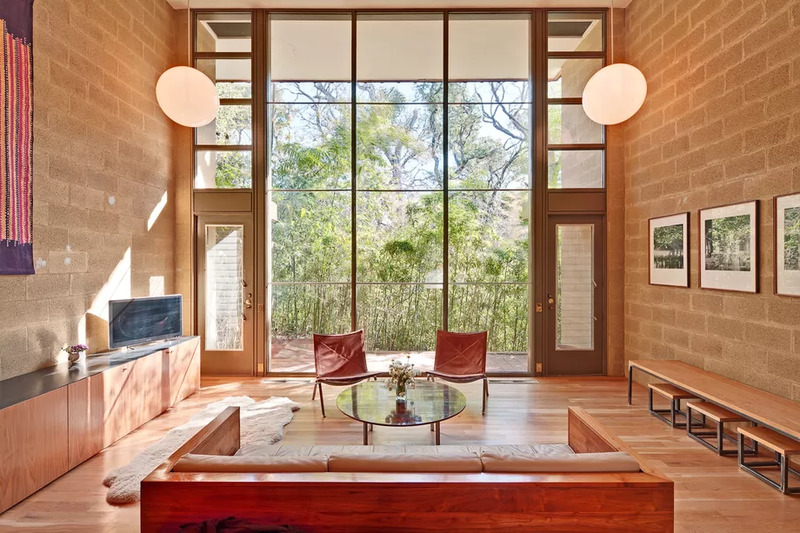 An acolyte of Richard Neutra, Harris worked on the famed Lovell Health House before starting his own practice and is probably best known for the homes he designed in California—but the quality of his work in Austin is just as appealing and remarkable. The Barrow Residence in Balcones Park is a single-family home, more typical of his work, but he also took an unusual turn with the three-unit Cranfill Apartments, commissioned by a U.T. professor and built in 1959. The two-story condo is listed for $495K and has historical designation. 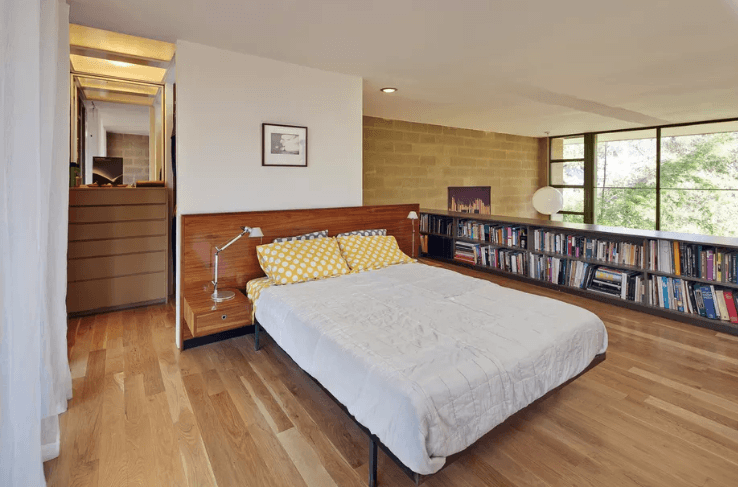 Hidden on a quiet residential street eight blocks from the University of Texas at Austin, this important work by the award-winning mid-century modern architect is recognized as a historic landmark at city, state and national levels. Organized around a majestic live oak at the center of a courtyard, the intimate complex is a serene environment seemingly removed from the busy outside world. The double-height volume features an open bedroom above with living spaces below, connecting seamlessly to the bamboo forest beyond the two-story glass wall. 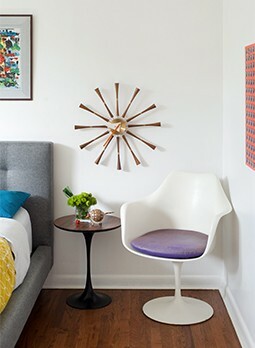 Original appointments have been well preserved, including ergonomic cabinetry, redwood siding, original paint colors, and decorative light fixtures, while the bathroom was recently updated to current standards. This special offering is a fine example of architecture in harmony with its context, melding formal modernist principles with the landscape, climate and materials of the region. Reduced property taxes.